Nearly 600 local middle and high school students will gather for the N.C. Science Olympiad tournament at Wake Forest University on Saturday, March 2, from 8:30 a.m. to 5:30 p.m.
Science Olympiad is a science competition modeled after sporting events like the Olympics. Instead of athletic prowess, students demonstrate scientific problem-solving skills, engineering talent by building complex machines, or knowledge of science, technology, math and engineering (STEM) disciplines. Events like Science Olympiad encourage students to pursue science by engaging in the subject in a fun and interesting way. 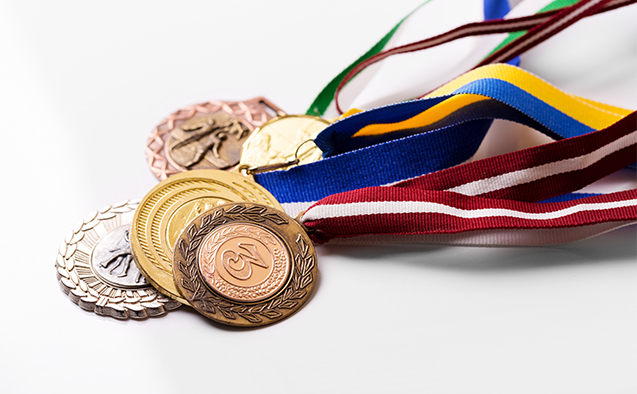 The Olympiad rewards students for excelling in a passion that does not always receive celebration, as they can earn gold, silver, and bronze metals like Olympians worldwide. Carole Gibson, one of the Science Olympiad regional directors and Wake Forest biology professor, said hosting the event on campus allows visiting students to perform experiments in university laboratories and to get a view of college science classrooms, as well as making it easy for Wake Forest students to volunteer and help lead events. More than 150 students, faculty, and staff will offer their assistance in making all the events happen. Wake Forest’s Department of Biology and Center for Molecular Signaling are sponsoring the event. The day culminates with award ceremonies at 4 p.m. in Brendle Recital Hall in Scales Fine Arts Center and Annenberg Auditorium in Carswell Hall for the middle and high school teams, respectively. Please contact the news office to make arrangements for coverage or to obtain a complete schedule.